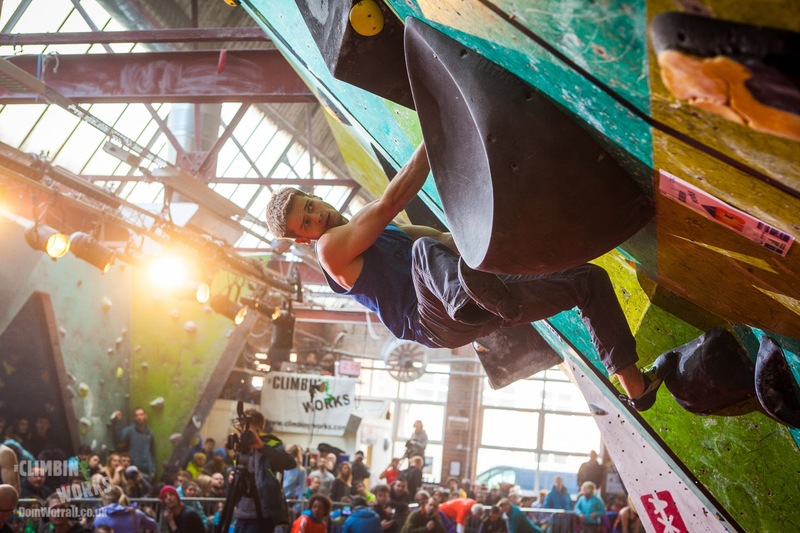 The 9th CWIF was undoubtedly the biggest and best yet and even in the weeks after we’re still coming to terms with just how much fun it was. To top it next year we’re going to have to come up with some big ideas. 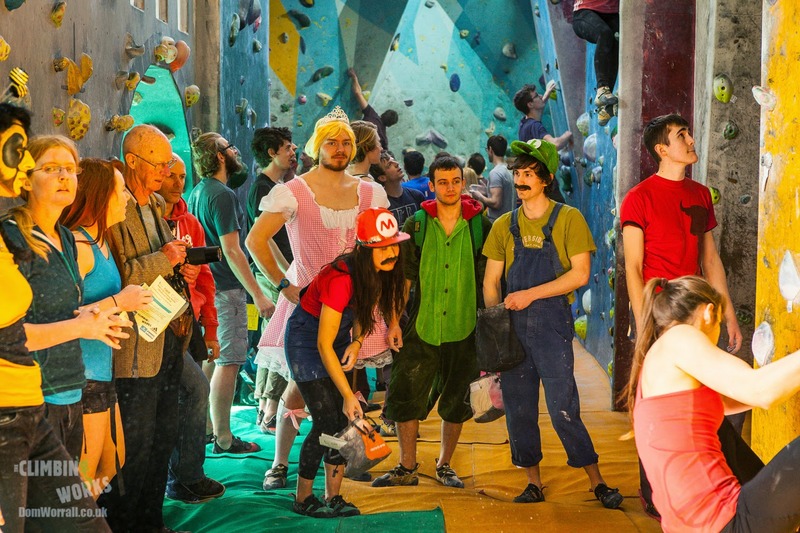 Especially as it will be our 10th birthday CWIF. 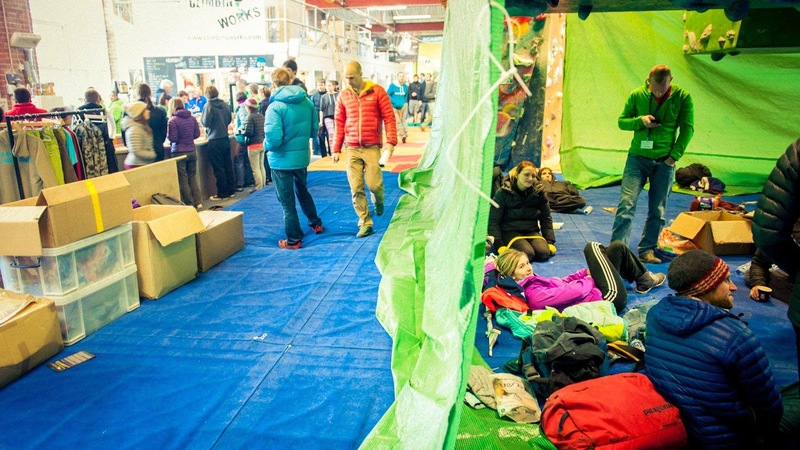 The CWIF may occur on the weekend but it starts long before in the days, weeks and months of preparation and organisation for the madness to come. To the public, it begins in early February when we open registration. 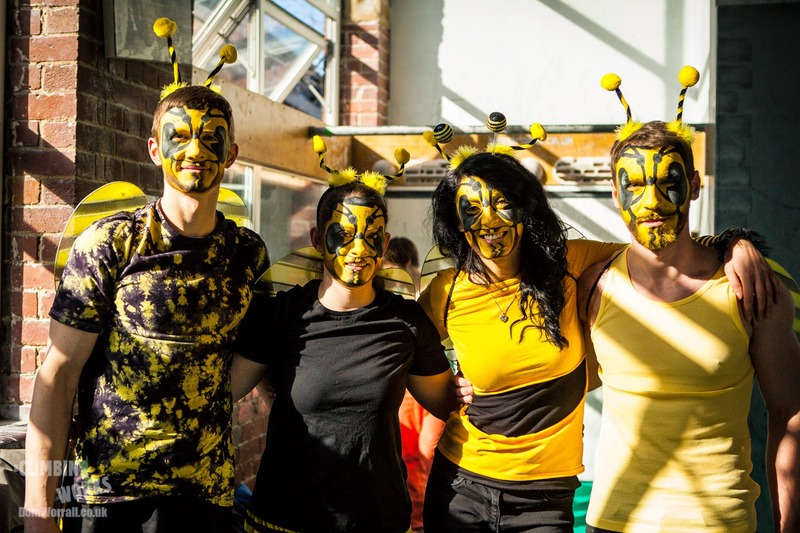 An incredible response meant that within 30 hours all 350 places were filled in a record time which quite simply blew our mind. 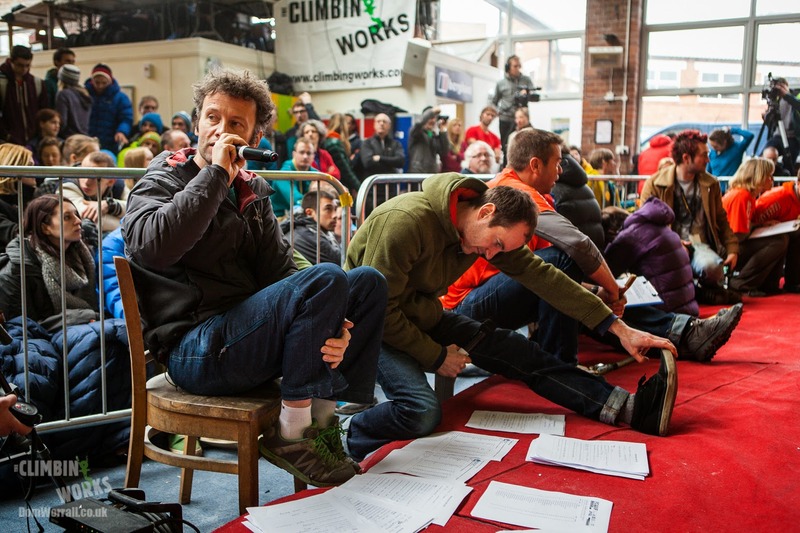 When CWIF first started you could register on the day - those days are long gone. 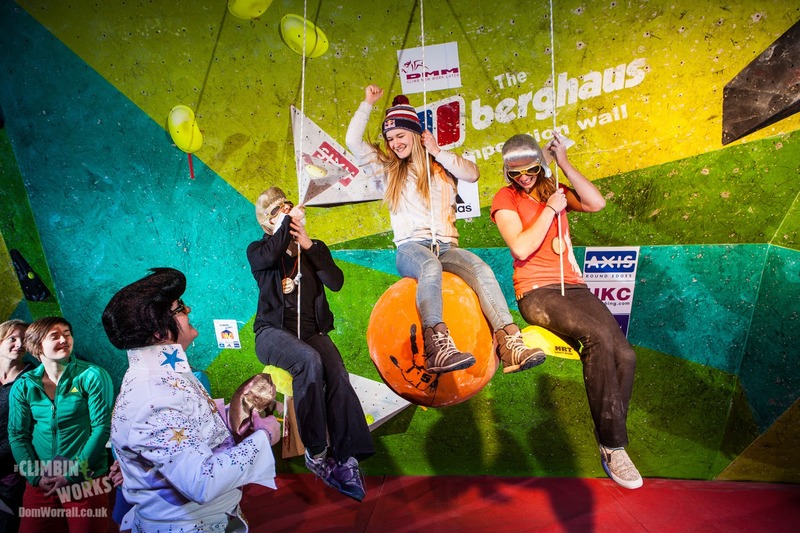 As the weekend itself drew closer we starting to receive deliveries - holds, stock, goodies from sponsors - and by the middle of the week we began the preparation in earnest by stripping the Berghaus Competition wall. 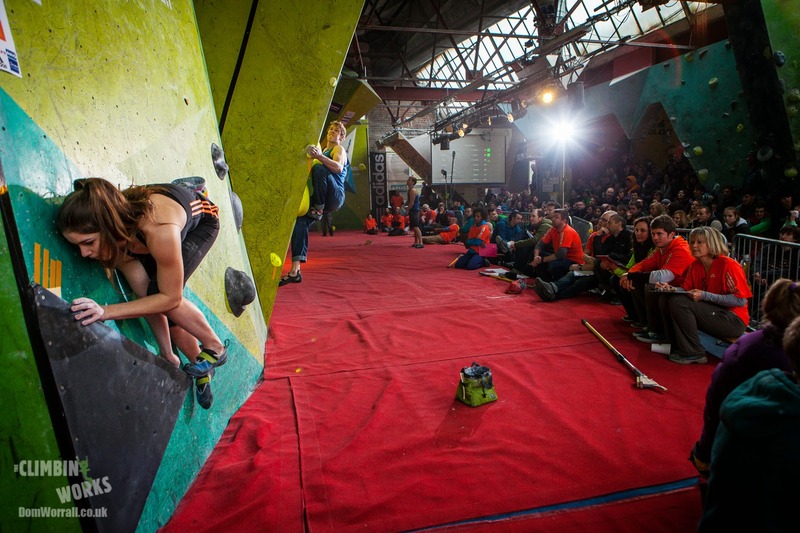 After all that preparation the morning of Saturday 7th March shone bright and clear (a common theme historically with The CWIF weekends) and we opened the doors at 0730 to bleary-eyed competitors who came in looking for a caffeine hit and a first look at the Wasp circuit that had been set for the qualifying circuit. 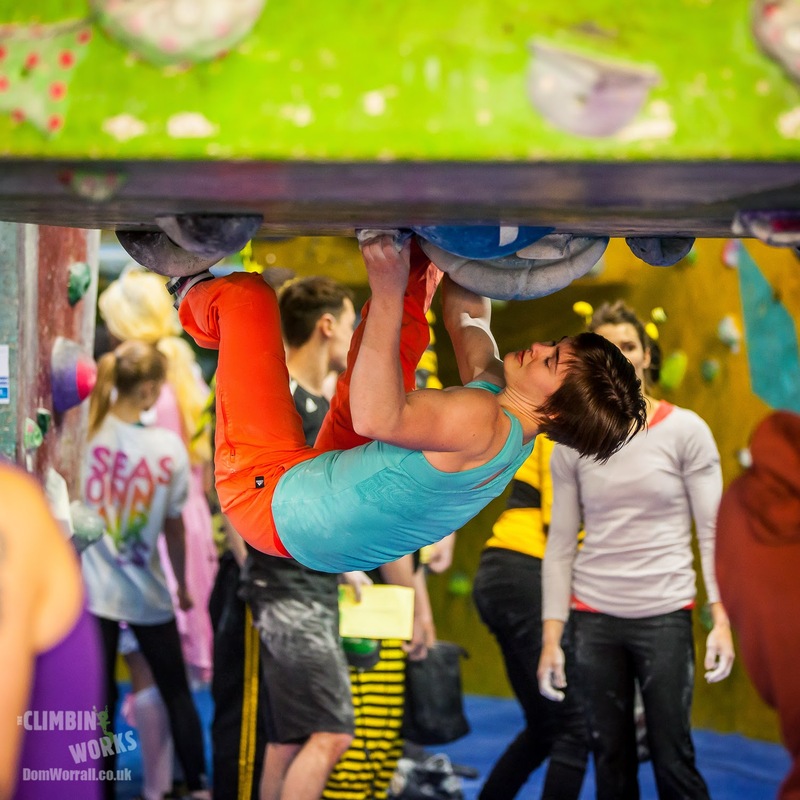 By 9am we had 169 registered competitors ready to go and at the announcement of the start of AM qualifying they hurried off into every corner of The Climbing Works to test themselves on a variety of problems across just about every angle we have in the centre. 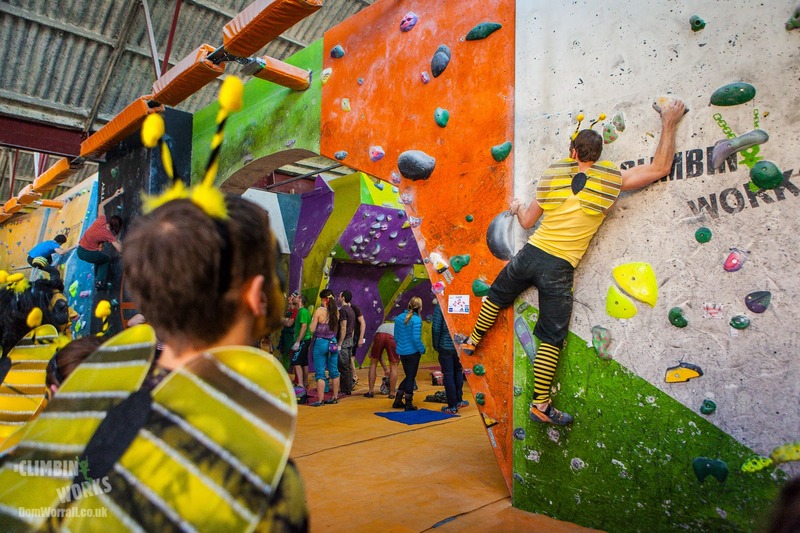 The Wasp circuit holds were brand new and came from both Axis and Volx cimbing allowing for a wide selection of choice for the routesetters. 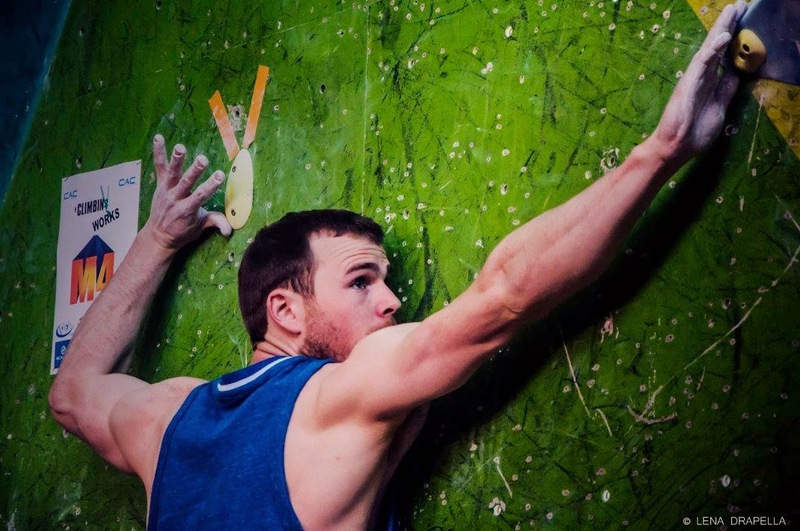 This year that team included 3 x IFSC World Cup setters (Percy Bishton, Manu Hassler & Jamie Cassidy) and 3 of the UK’s best setters (Andy Long, Jason Pickles and Rob Napier) meaning the problems set were of the highest quality and would test the skills of everyone no matter what their level. 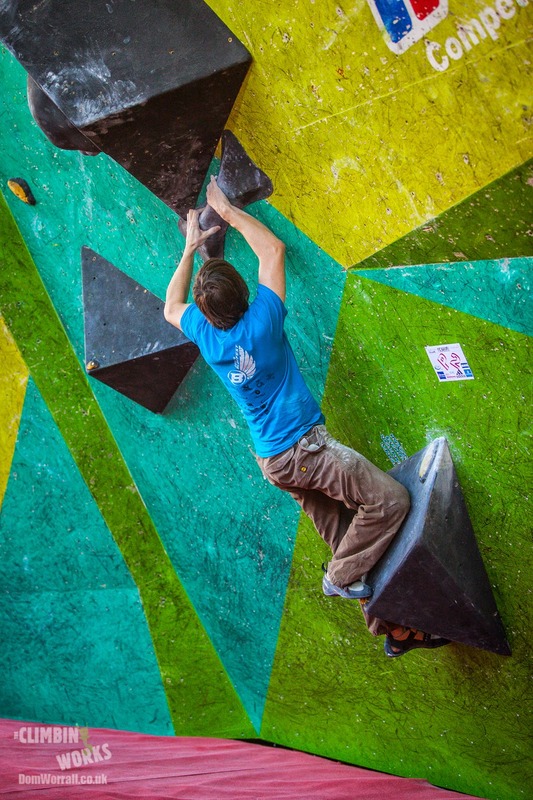 Creating these problems, just like the Final problems, requires an incredible high level of skill and experience. 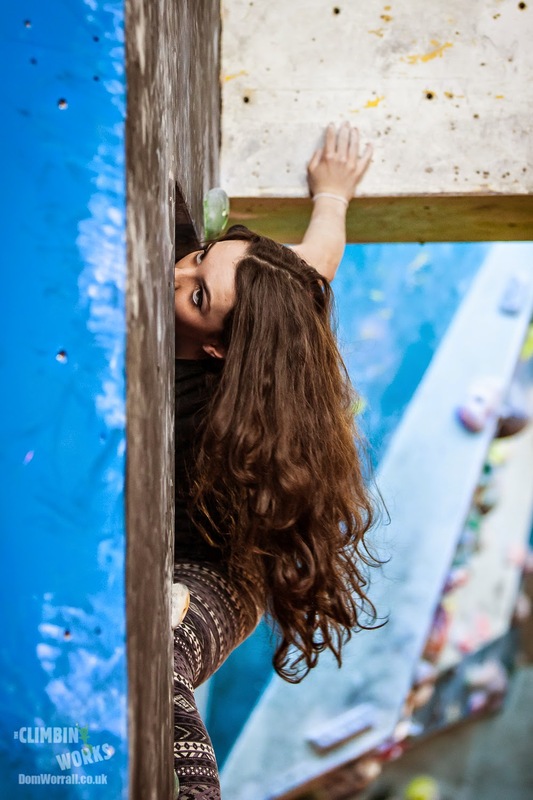 The main priority is of course to make good, fun problems that the competitors will enjoy but it must also split 350 competitors down to 20 male & 20 female Semi-Finalists. That’s a tough combination to get right and the setters did a great job in finding the balance. 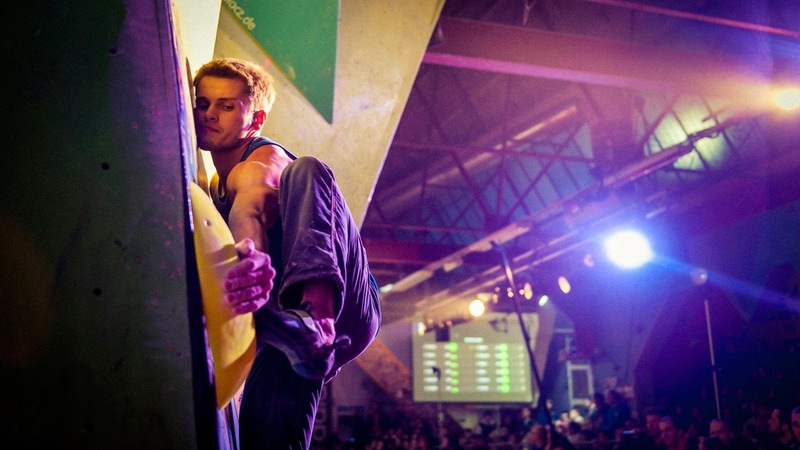 The underlying idea, and the soul, of The CWIF is this qualifying circuit. 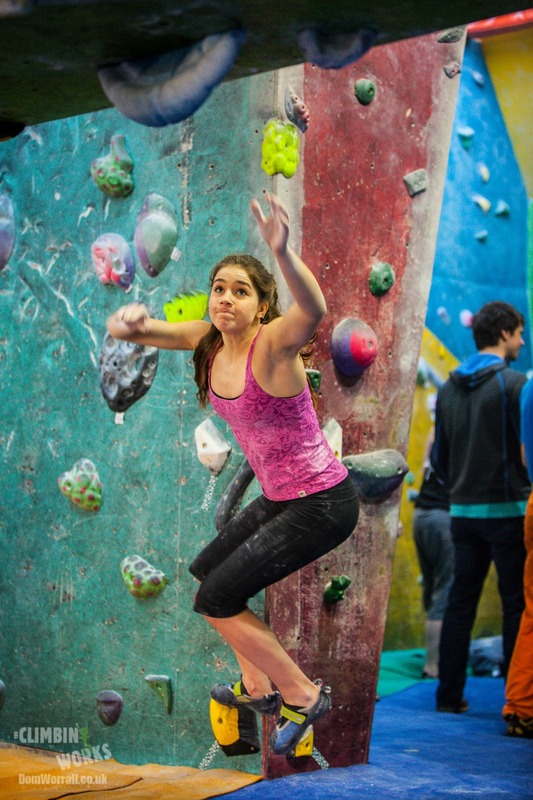 It is unique as it allows climbers of all ages and levels to compete together on the same problems at the same time. 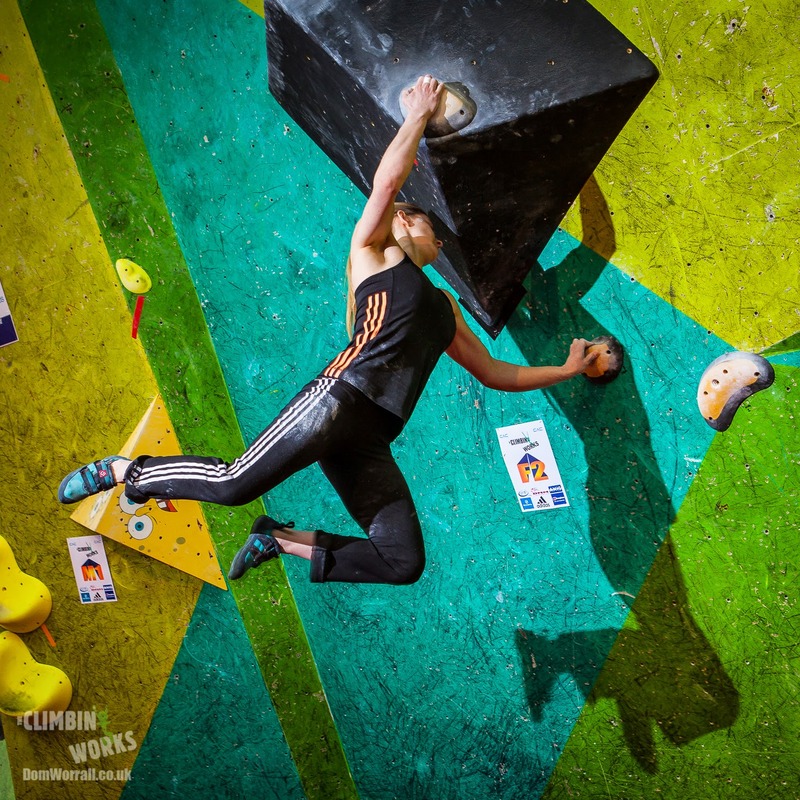 For the top competitors it is of course a serious part of the competition as a couple of slips can mean no Semi-Final place but for most of the competitors it is about testing yourself and having fun with your friends. 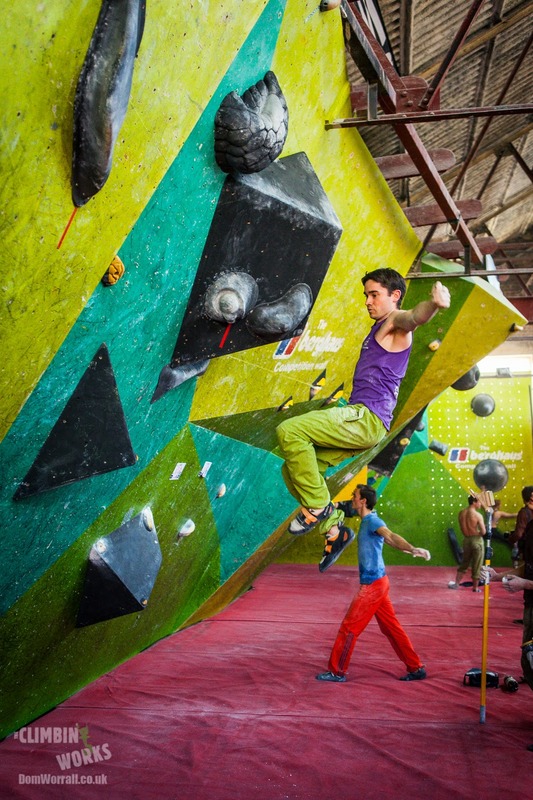 Watching a superstar crush something you can’t touch ably demonstrates the ability of these climbers and creates a connection that is hard to get when just watching a competition. 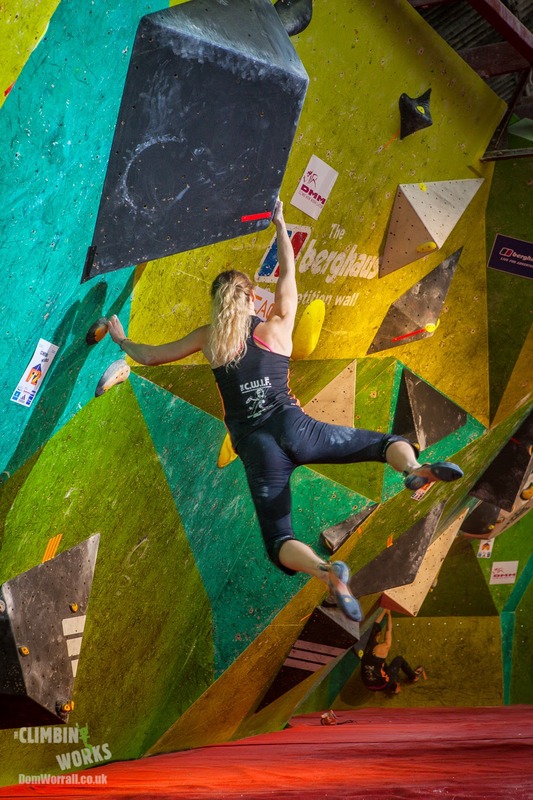 This normally encourages climbers to try even harder and push themselves that little bit further which is one of the key points behind The CWIF –to be inspired. 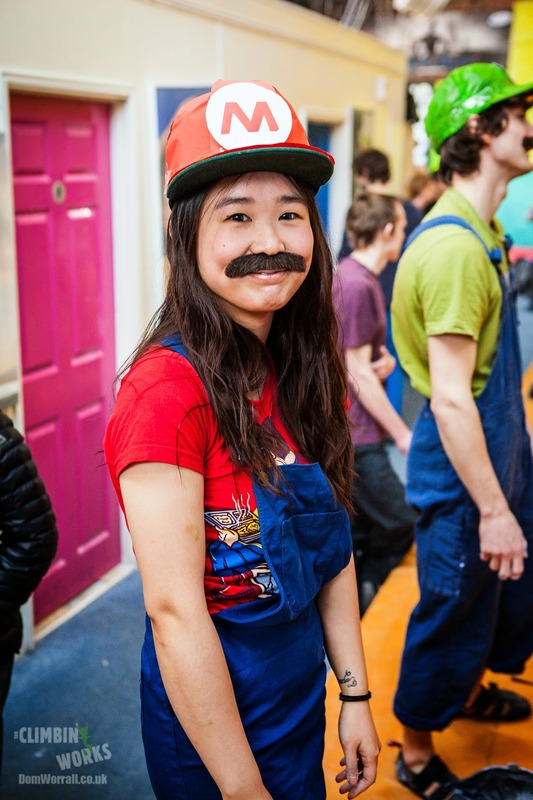 The atmosphere this year was incredibly relaxed and there were a lot of smiles and very few tantrums as everyone enjoyed themselves over the two sessions. 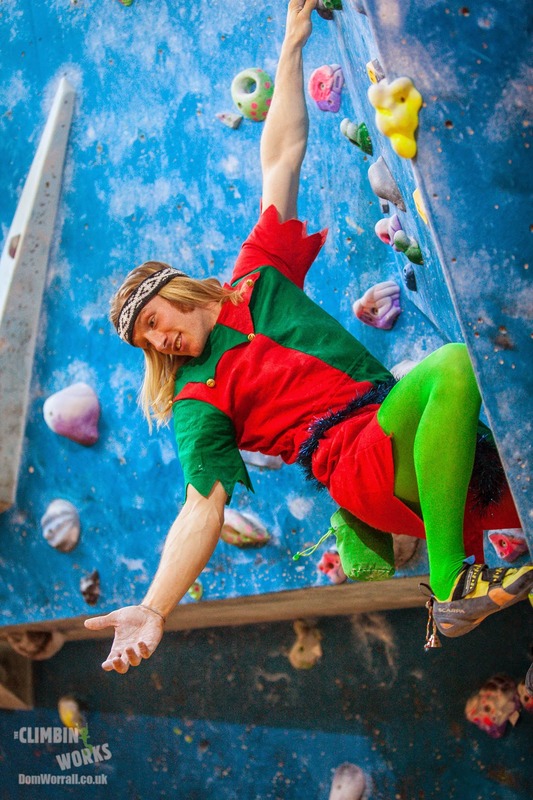 One of the big enjoyments we get from the qualifying circuits is when people turn up in fancy dress and still try hard. 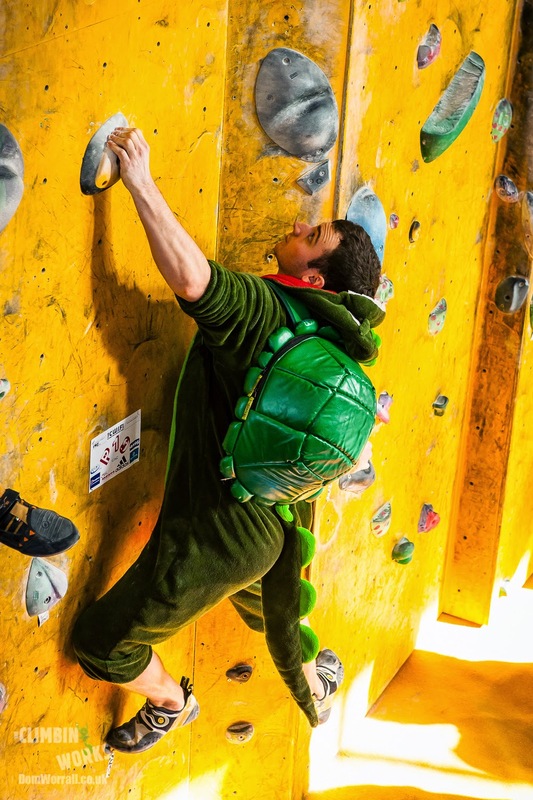 Climbing should be fun at all times and if you’re doing it while in fancy dress….well you’re probably having a bloody good time. Once the scores start coming in the office comes alive with 4-5 people checking scores and entering them into different computers ably helped by a great piece of software written by chief judge Tim Hatch. 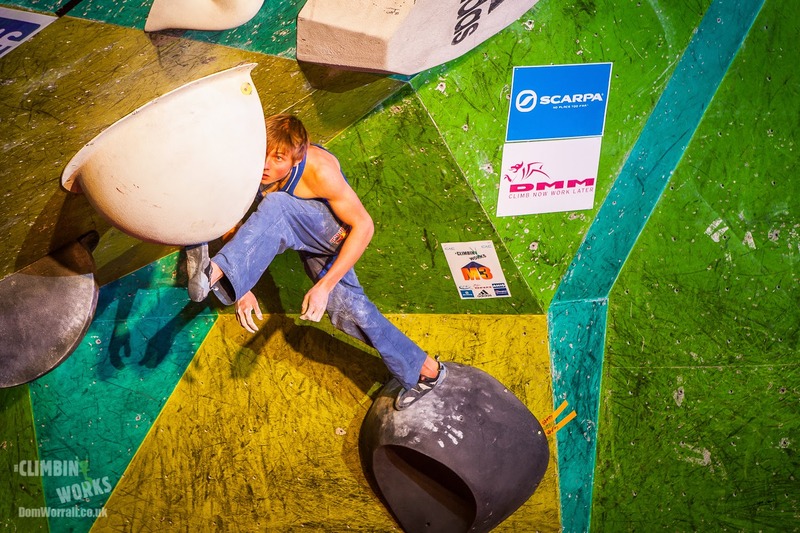 Trying to sift though and read 175 scores for each round while under a time pressure is no easy feat and it’s always a time battle as everyone wants to know who and what score makes the Semi-Finals. 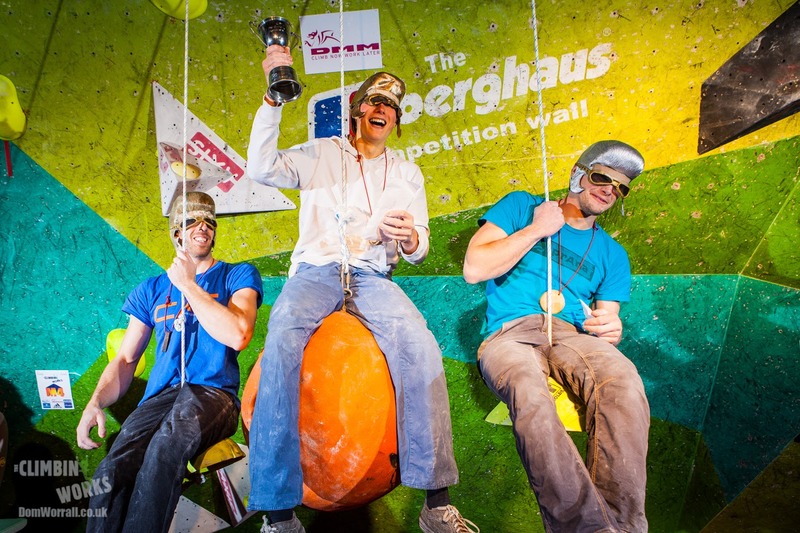 Once completed and announced the competitors can relax with a celebratory protein drink or commiserate with a cold beer and disappear off into the night. 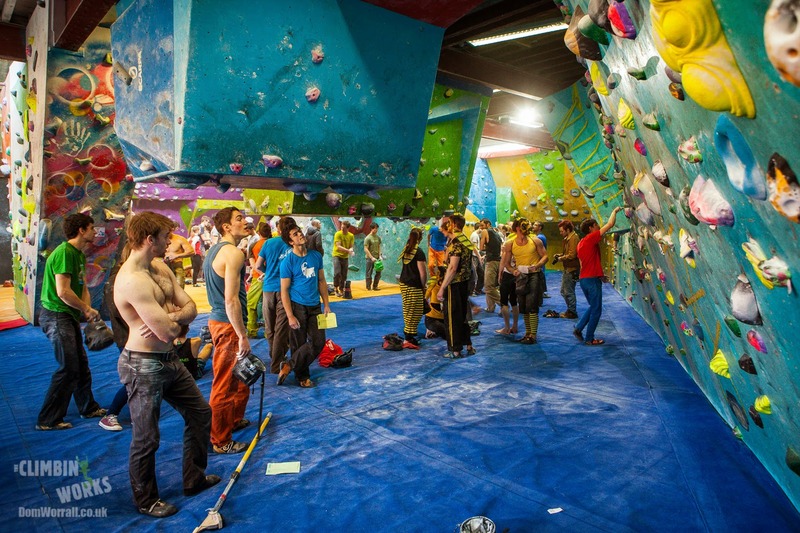 This is where once again the staff at The Climbing Works jump into action, getting the centre ready for the next day. 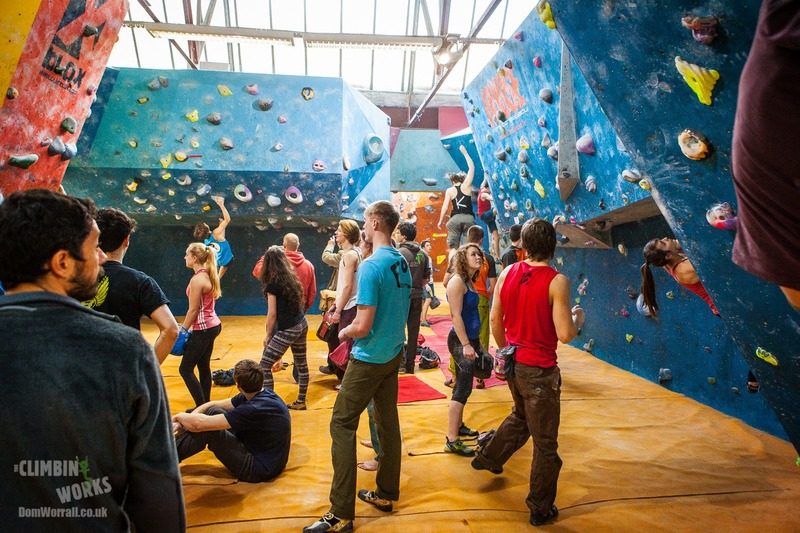 Mats are moved, organised and seating is built for the big crowd for the Sunday. The setters begin getting to work on getting the Semi-Final problems up (for those that don’t know both the Semi’s and Finals are tested and set on the Thursday before. They are then marked up and put away ready to be quickly reset when the time comes). Sunday began with clouds in the sky and a few brief rain showers. 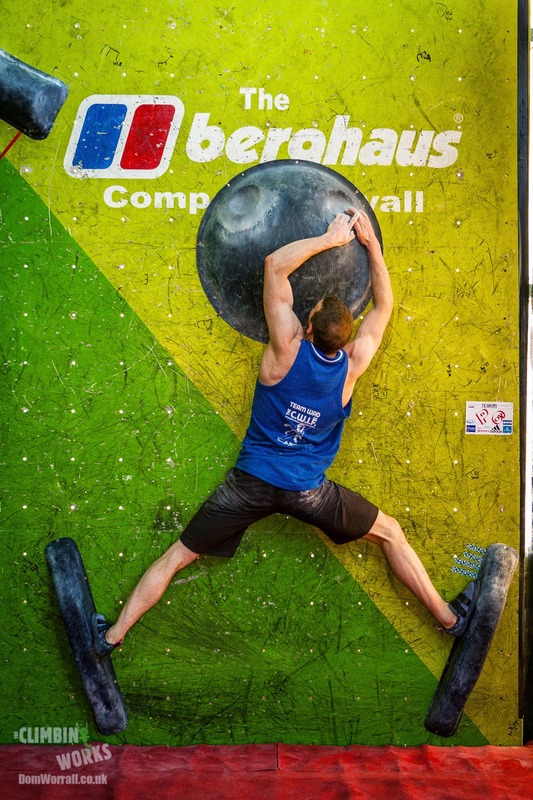 With the Semi-Finals beginning at Noon we had the competitors arriving from early on as Isolation closed at 11am. 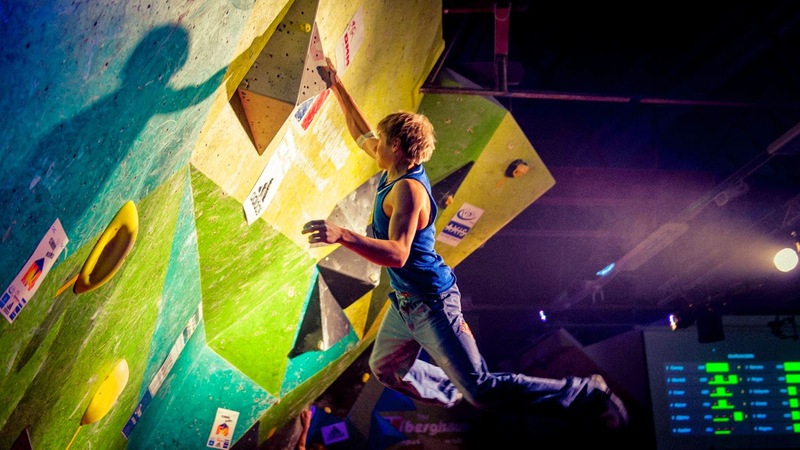 All competitors need to be in for this time or they are not allowed to compete. 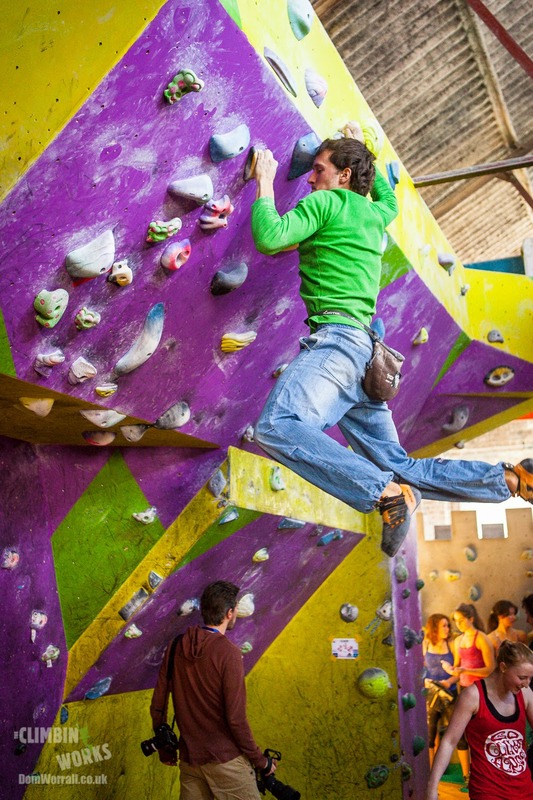 As per IFSC rules they also lose their phones / ipads etc… which means some return to sleep while others potter around reading magazines (old skool). 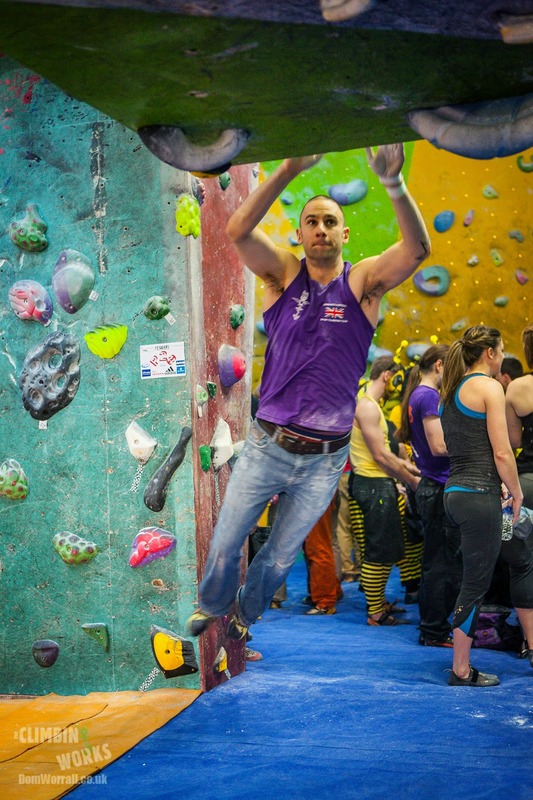 Noon arrived and with a big crowd gathered the first competitors are called by Graeme and they begin the short walk from isolation to the Berghaus Competition wall. 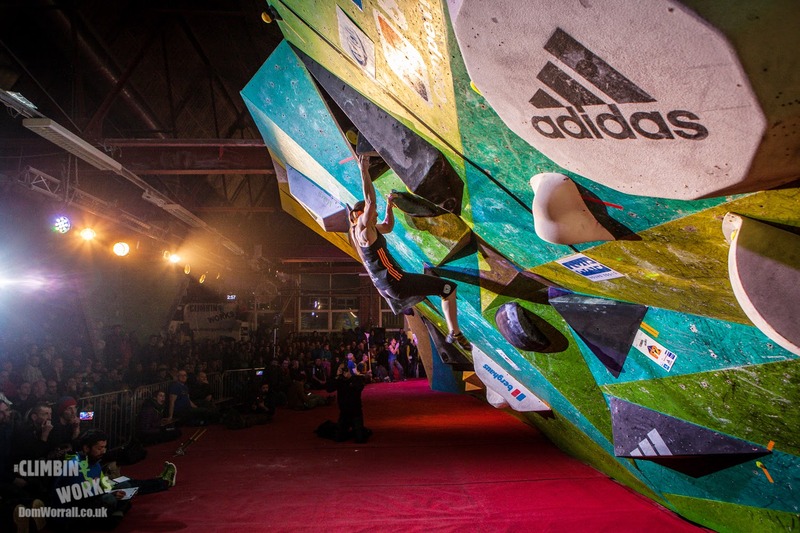 This is where The CWIF changes and the serious climbing begins. 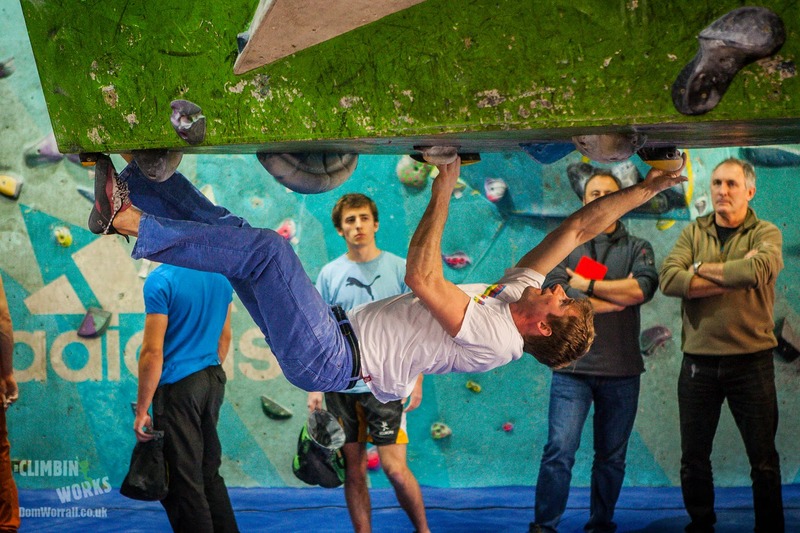 All competitors have 4 mins on each problem with 4 mins rest between problems with no prior knowledge of what is infront of them. 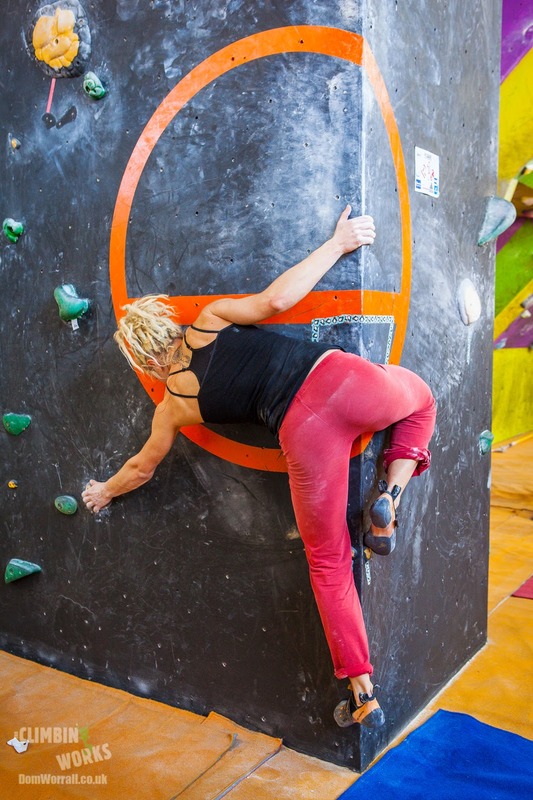 This creates a mental challenge as well as a physical one as you must choose whether to try all out on maybe one more attempt or do you stop and save the energy for the next one? 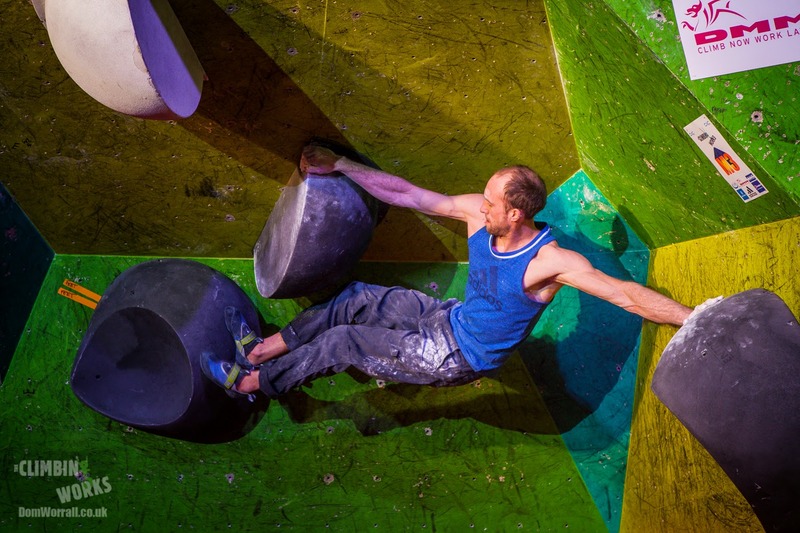 What if the next one is even harder? 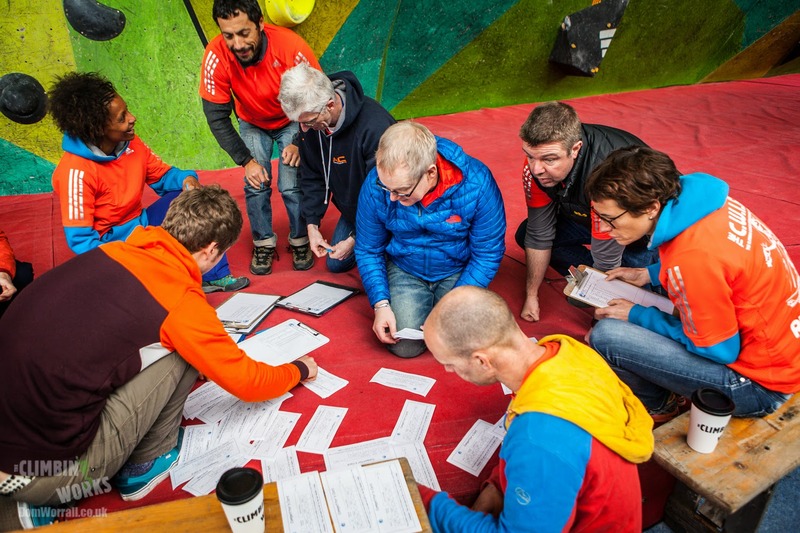 This is where the experienced competitors start to shine as they use the clock appropriately and make the decisions that can mean the difference between watching the Final or taking part in it. 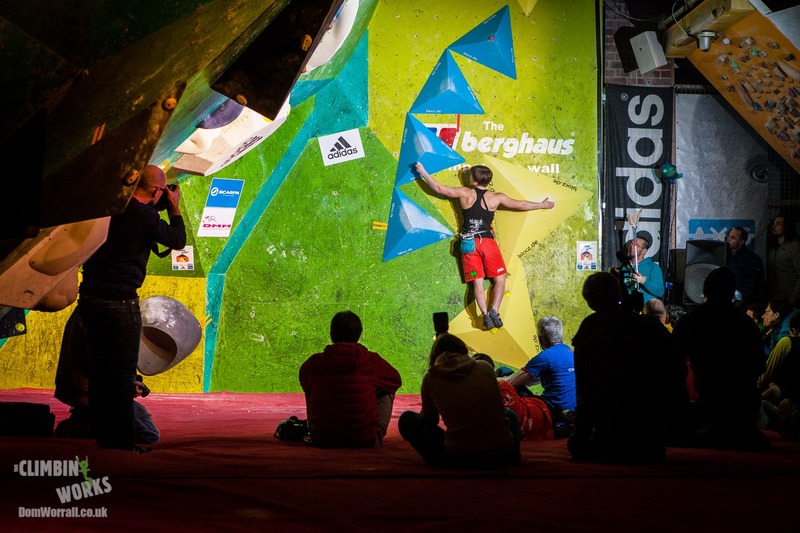 You can rewatch all of the Semi-Finals below on You Tube. 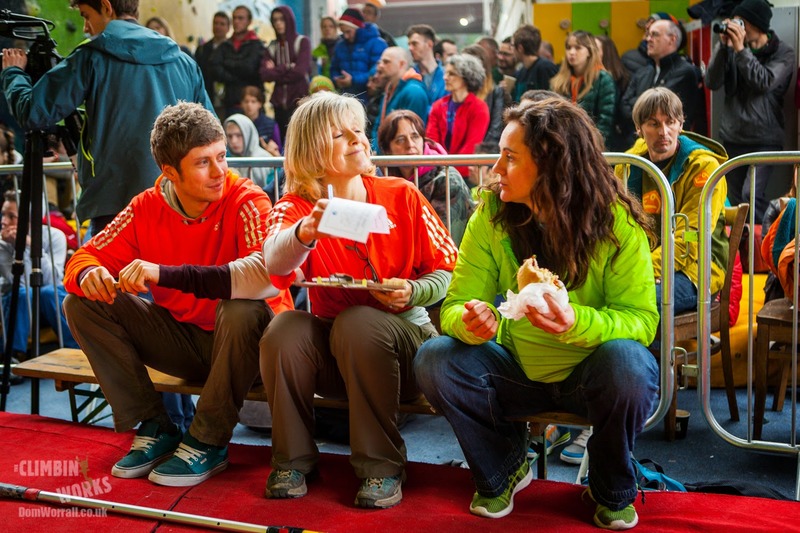 Once the Semi-Final ends the Final 6 Male & Female competitors can disappear off for food and sleep, trying to recover as much as possible for the main event in 3 hours time. 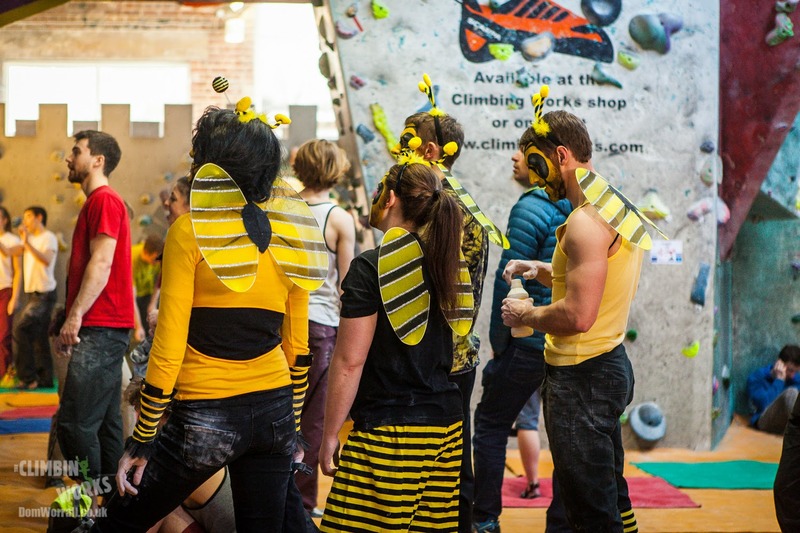 For the crowd they can either take out their excitement and psyche from watching the Semi’s on the Climbing Works circuits or just get in line for the first of the free burgers from our CWIF BBQ. 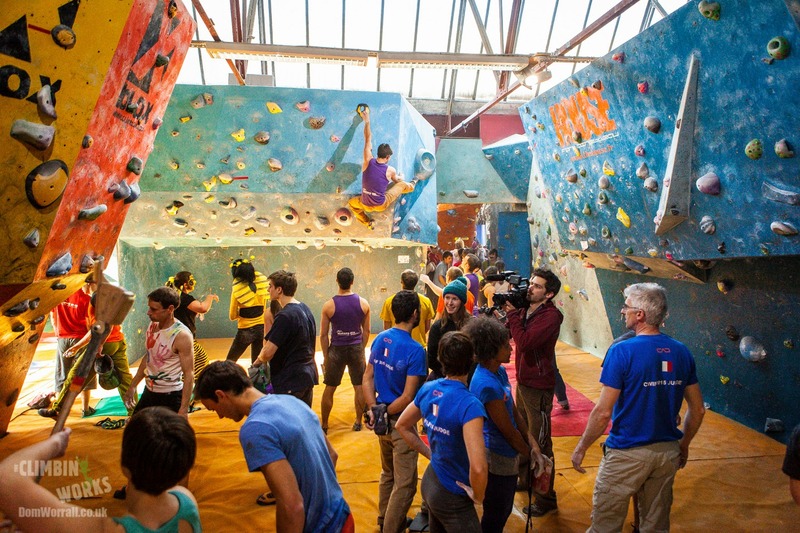 As time starts inching towards the start of the Finals competitors reappear and disappear into isolation while people feed in early to claim the key viewing points. 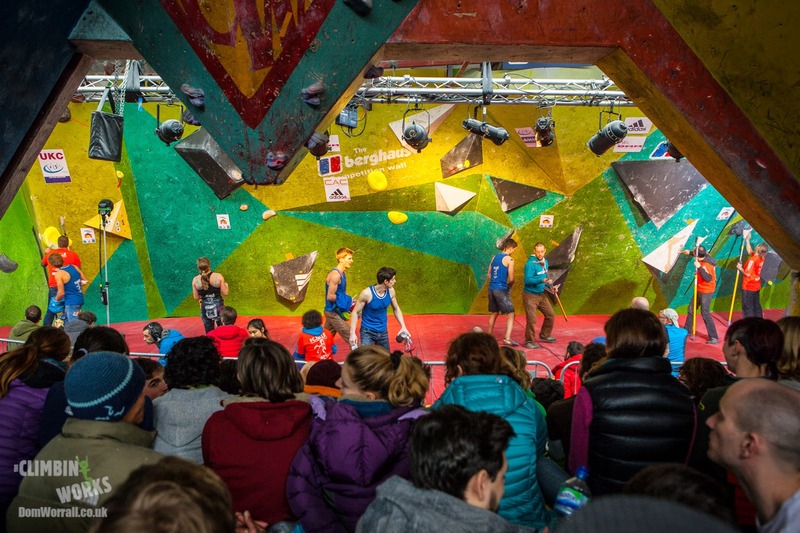 By 5pm this year ALL the main seating was full and there is still an hour to go to the start of the climbing. It is always mind boggling for us when we see the size of the crowd and it makes all the organising and stress worthwhile as people cram into every corner to get a good view. As 6pm approaches Gus and Sam get the music going, the lights come down and the competitors are introduced by the ‘master’ of ceremonies Percy. 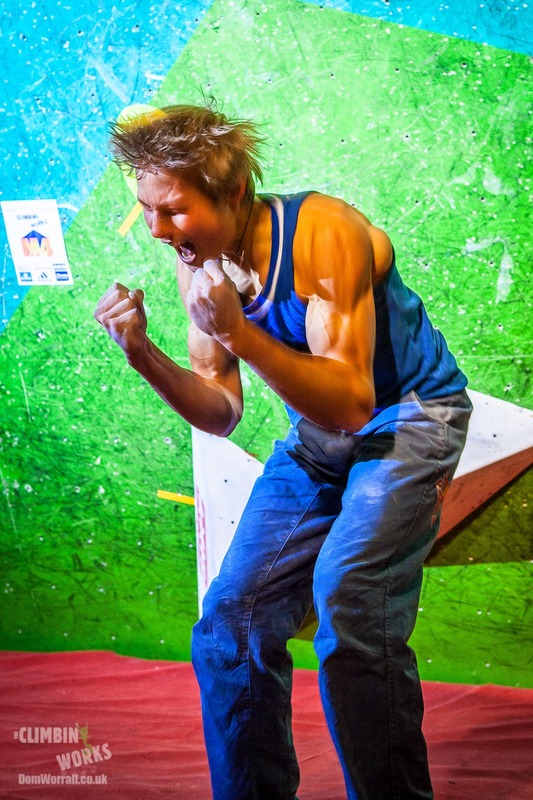 The Final itself was another classic and there were some fantastic climbing moments from all competitors but one of the highlights was Alex Megos one handed catch on the dyno start to Mens problem 4 - it was something else. You can rewatch the whole Final on YouTube below and it is well worth a viewing. 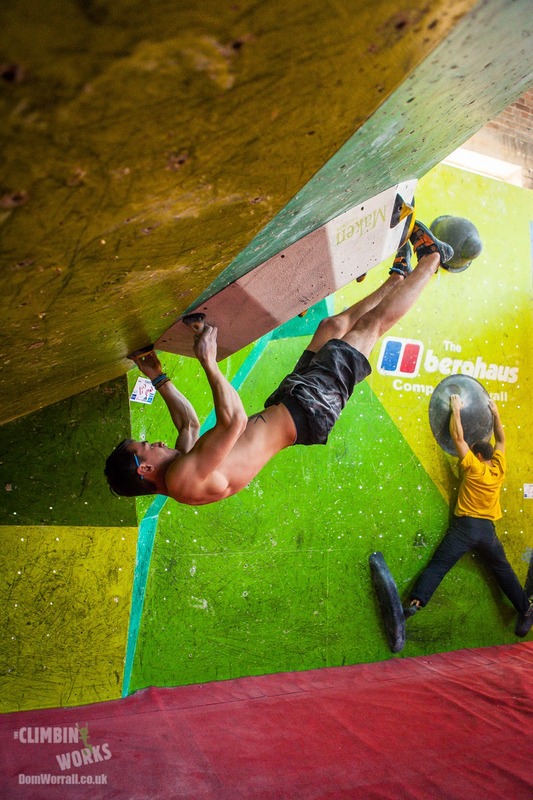 The CWIF wouldn’t be The CWIF if we didn’t have a slightly different winners ‘podium’ and this year was no exception. 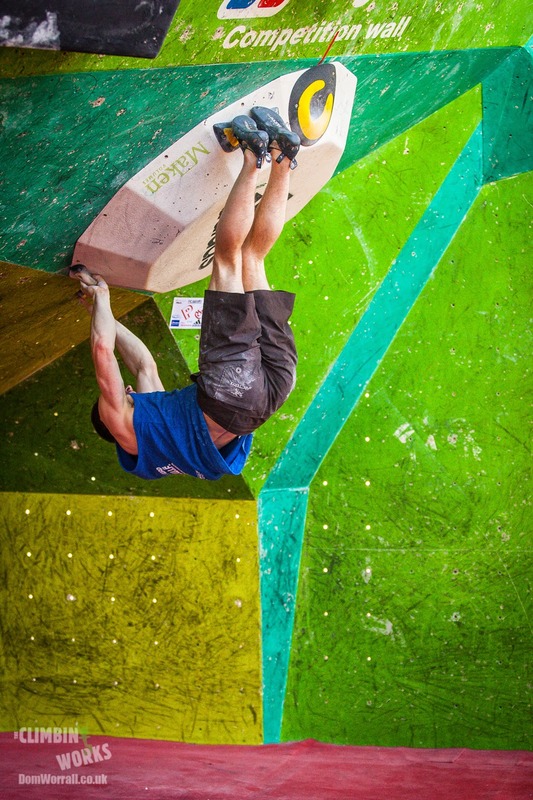 Instead of bringing the podium in, we brought it down…from the rafters. 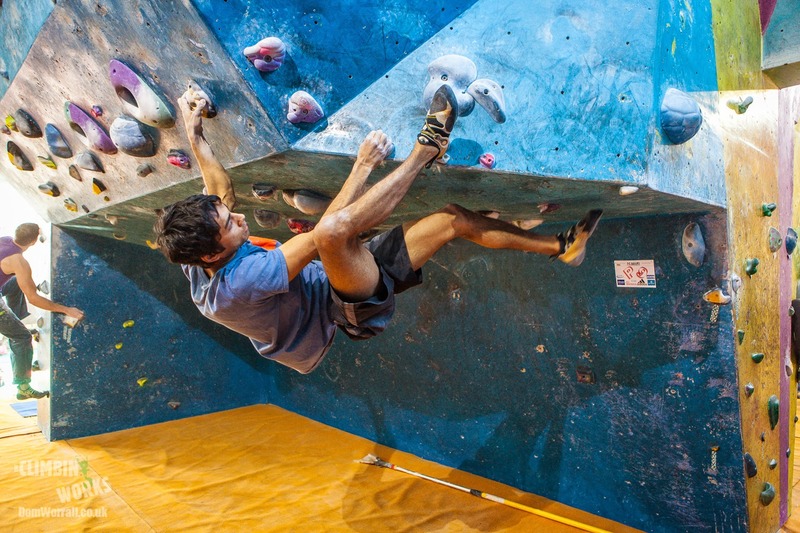 After climbing for 2 days at their limits I don’t think some of the competitors were quite prepared at what they had to do to receive their prizes. The icing on the cake was of course Mr CAC HIMSELF, John Ellison, coming out as Elvis to award the Golden ‘Quiffs’ to the winners. 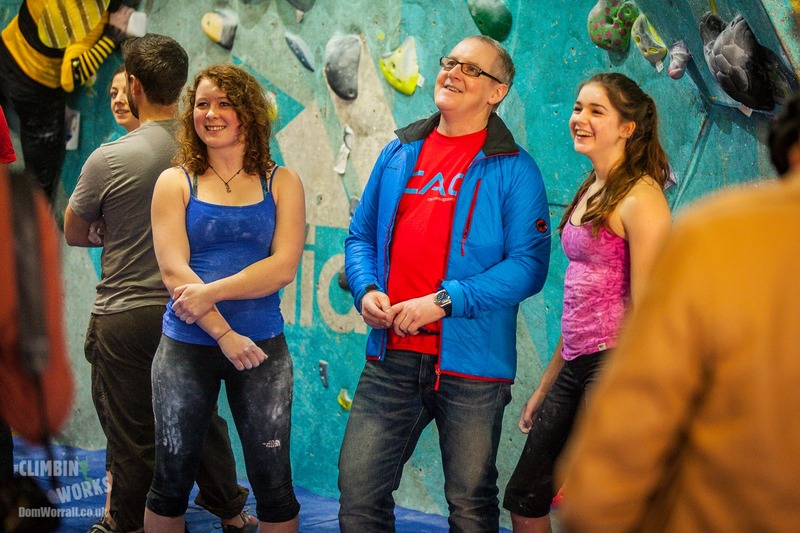 CAC has been close to the heart of us here from the start and it was great for John to be so involved. 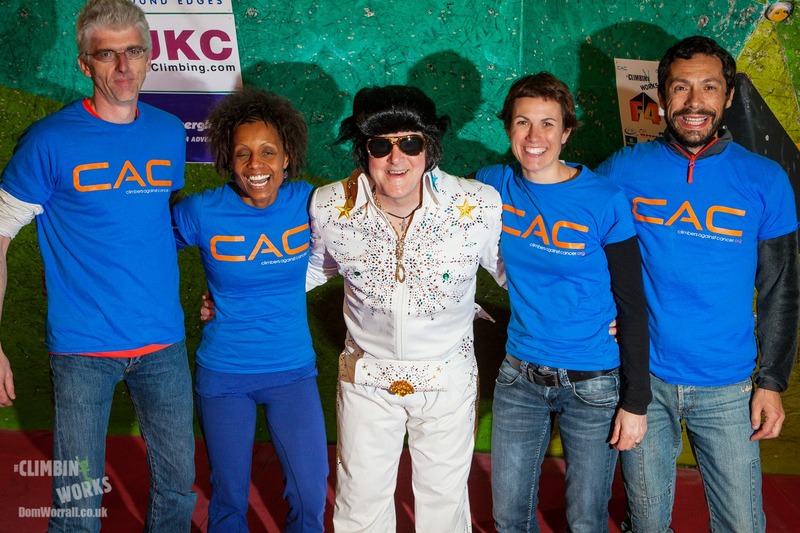 Over the weekend we raised over £2500 for both CAC and Mind charities through raffles, donations and some outright emotional blackmail (which is always fun). We also gave away a whole load of freebies and some amazing raffle prizes which only exist because of the generosity of our sponsors and supporters. 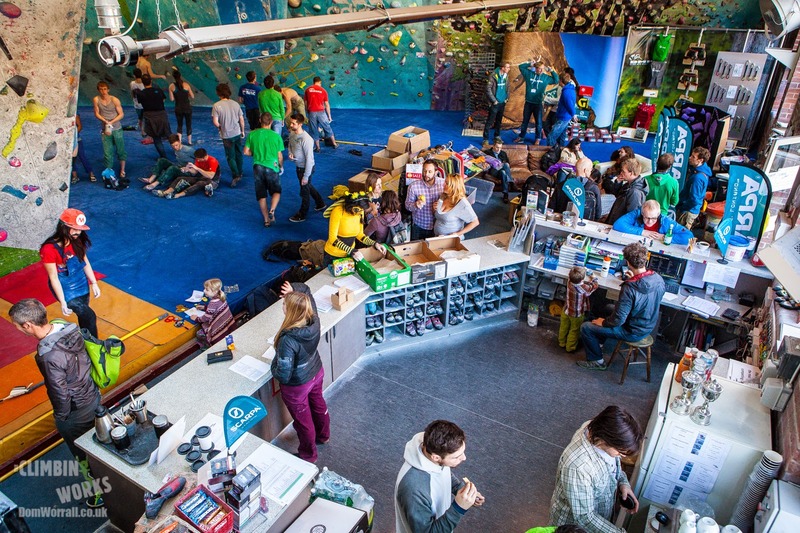 The CWIF can only get bigger with support from these brands so remember what they give back when buying your next bit of gear. 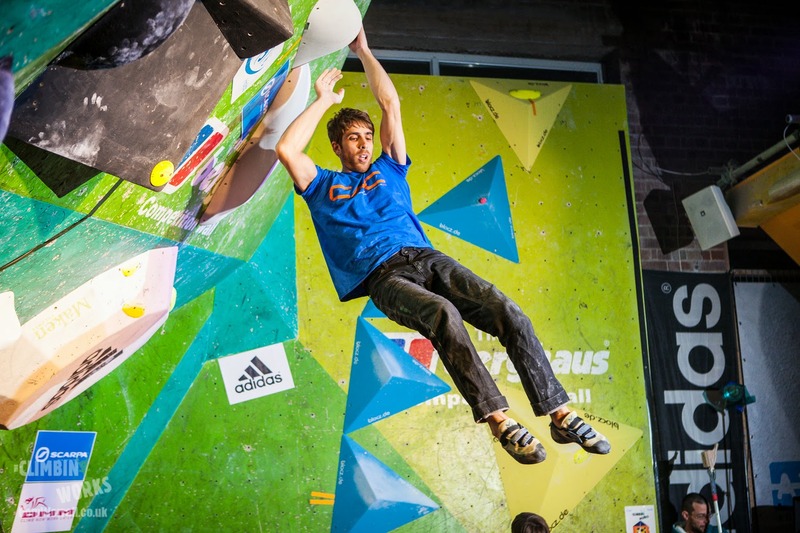 A big thanks to Adidas, Scarpa, Berghaus, DMM, Axis and Volx for sponsoring us this year. 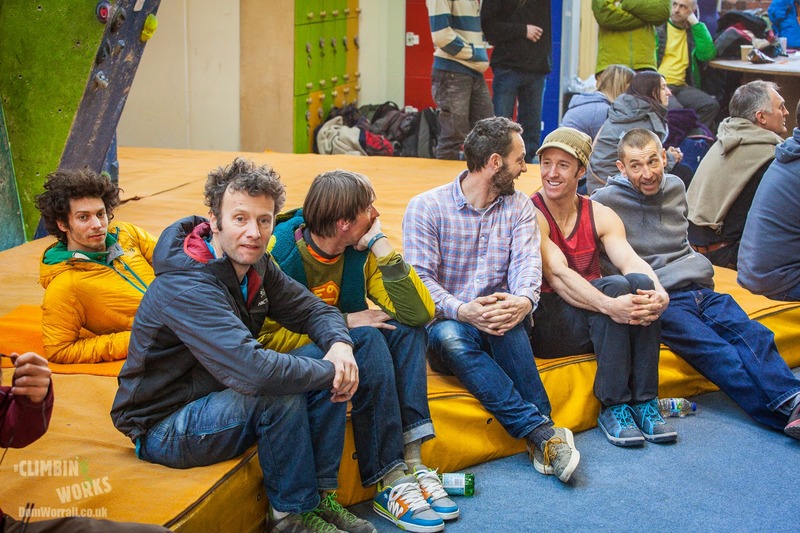 A thanks also to BandofBirds, TDC-AV, UKClimbing.com, Marmot, Beta Climbing Designs and ShAFF for providing goodies and support to The CWIF. 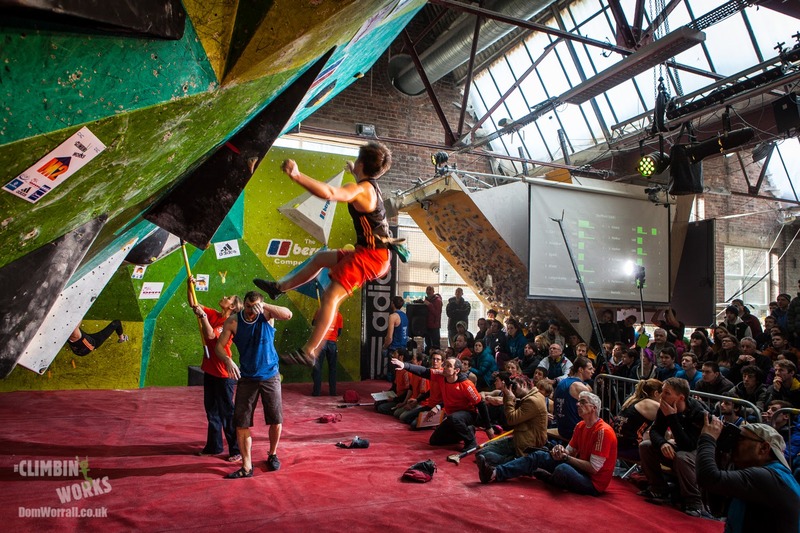 If you missed out any of the action then you can relive the CWIF weekend on our social media networks. 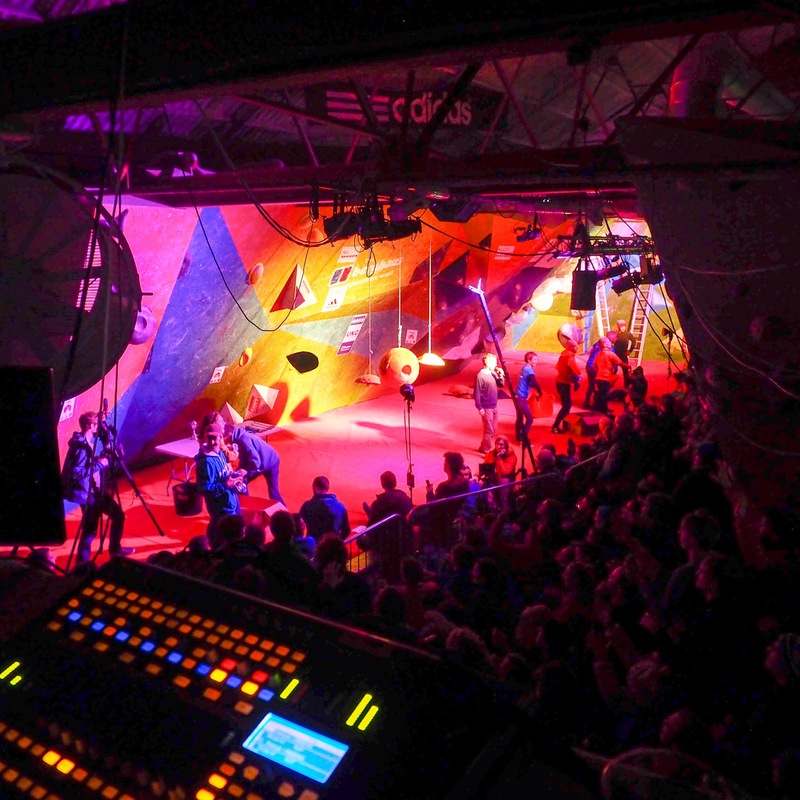 We posted some amazing short films and photos to our Instagram account while competitors and us alike used #CWIF on Twitter for weekend going on’s. 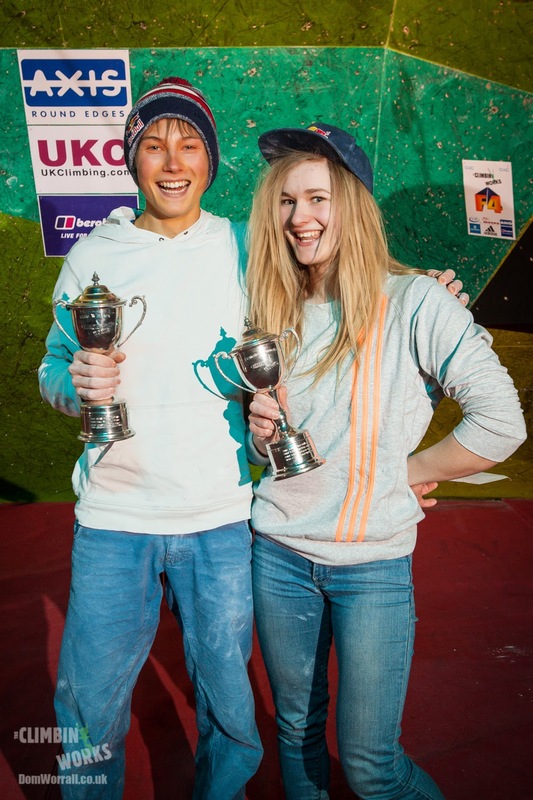 We’ve also got a ton of photos up on our Google+ page showing qualifiers, Semi’s & Finals– all taken by our superstar photographer Dom Worrall. You can also see some shared photo albums on our facebook page. We'll have a highlights film out in the next month or so. 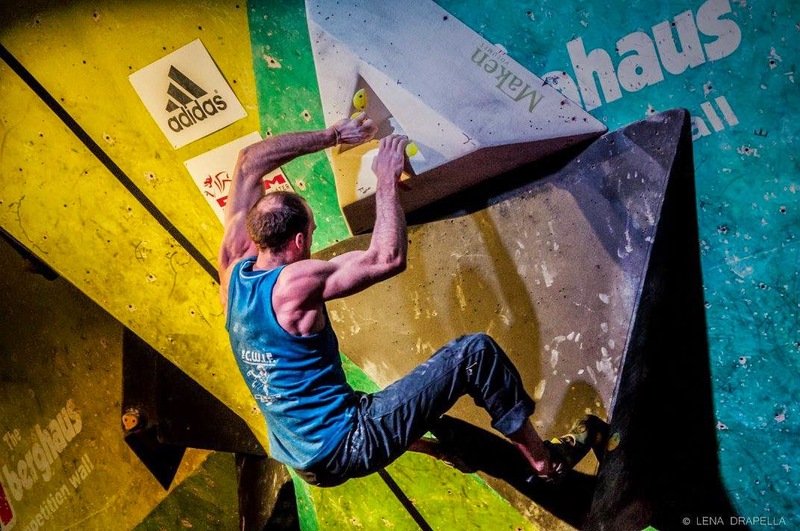 2016 will be The CWIF’s 10th year and that means we’re going to be looking to up our game once again. 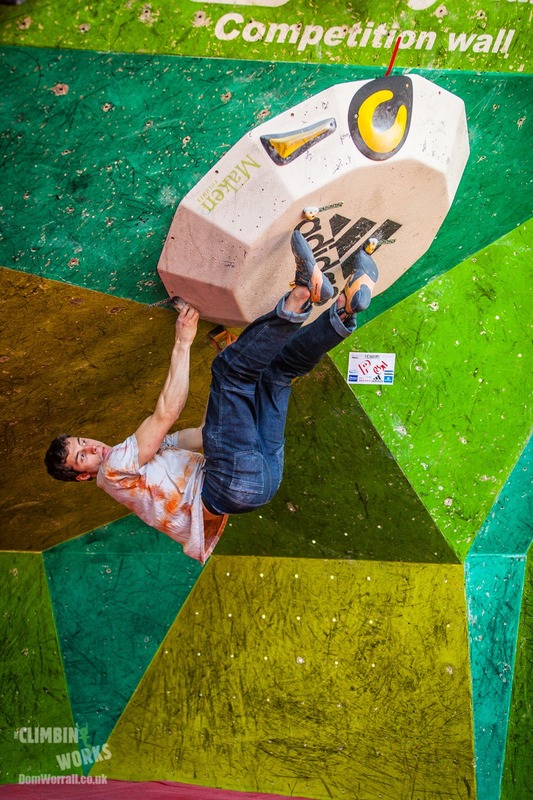 What could possibly occur?….keep an eye out for news as 2015 draws to a close. We do promise it will be a lot of fun.